Don’t even talk to me if I haven’t had my first cup of joe yet. Like most in this hectic world, I need that caffeine kickstart to my day that only a steaming mug of black gold can provide. Now, I have an actual medical excuse for slugging back some coffee every morning. 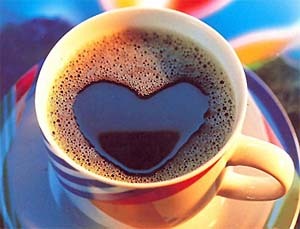 Researchers believe that one cup of coffee a day can help lessen the risk of developing Alzheimer’s Disease. It seems the caffeine strengthens the “blood brain barrier” that filters out the bad stuff in your blood system. The barrier can get leaky allowing harmful things like cholesterol to reach the central nervous system. The results were found during a study at the University of North Dakota that involved the use of rabbits fed a high-fat diet which leads to high levels of cholesterol. The bunnies that were given the caffeine equivalent of one cup of coffee had blood brain barriers that were much more intact. For more info on the research head over to BBC News. And next time you see a rabbit in your favorite coffee shop, make sure to say “Thanks” and buy them a latte.